I recently listened to a podcast from Stuff You Should Know titled, The Future of the Internet and it got me thinking. They mention some of the predictions of the internet such as, it will be faster, more “walled gardens” such as iTunes, and possibly moving away from net neutrality. However, many of these predictions were not very bold. 1. More Smart devices- There is already been a huge interest in smartphones and to some extent smart devices like GPS devices built into cars but I believe that many ordinary equipment will be connected to the internet to give users access to real-time information. I predict that many of these devices will be built into classrooms. We already have SMART boards but imagine devices built into classrooms that record speech and cameras that record movement. Teachers will have access to this information either in real-time or to look at after to make decisions on assessment and teaching strategies. There is already devices that have hit the market such as the 360 degree camera from Teachscape. All of these devices in the classroom will be wired to give users specific information in the future. 2. No more computers!- Yes, that’s right, no more computers. Computers as we know it, will be phased out and replaced by tables and mobile devices (ipad and ipod touch). They all ready becoming less useful. Many schools are adopting tables at a 1:1 environment making the need for an actual computer, less likely. Keyboards will be phased out and replaced with speech recognition software. There are many apps that do this such as Dragon Dictation that will make the need for actual typing, obsolete. 3. More educational “Walled Gardens”- Walled gardens are privatized places such as iTunes or xBox Live that are making huge cash. Companies love it as they can control the environment and lure people in much like stores lure you in. I predict that there will be an explosion of educational walled gardens once companies figure out how to take advantage of educational apps. This might be good news for educators as there will only be an influx of great educational software that will be able to be downloaded to mobile devices, however, it could quickly become expensive. 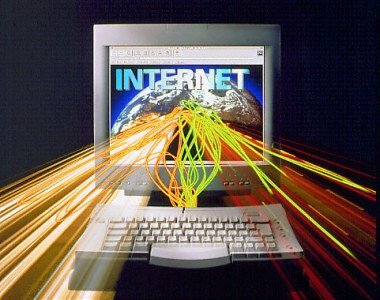 What are your predictions for the internet and education? Post here!